Explore Nashville's Greenway trail system from the from the Two Rivers Park trail head location. 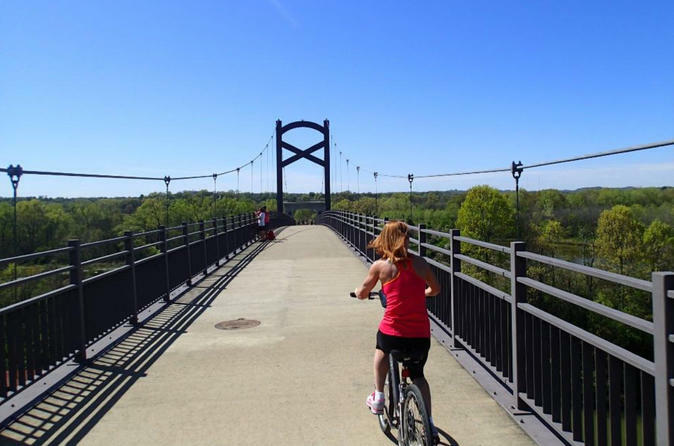 There is plenty of scenery along the way in nature and great city views on Nashville's Greenway system. Similar to a food truck, a mobile operator rolls in and out on operation days and works from a customized trailer. For this reason reservations must be made in advance and reconfirmation must be made to ensure operation on the requested day. Not only will you be provided with excellent bikes for recreation or fitness, but will also receive a bike equipped with a bike bag that fits smartphones for display/use while riding. Transportation can be arranged for those who need require access to the trail head (must be requested in advance directly through the local operator). From the Two Rivers Park trail head location, you can access much of the city, including downtown in only 25 minutes. Bikes, helmets, locks and a brief overview of available route options will be provided to get the most out of your bicycle tourism experience.